Polymer materials melt pump, all the gears and mating surfaces are ground, and strictly control the assembly gap to obtain accurate flow. All gear and mating surfaces are ground, and strictly control the assembly gap to obtain accurate flow. 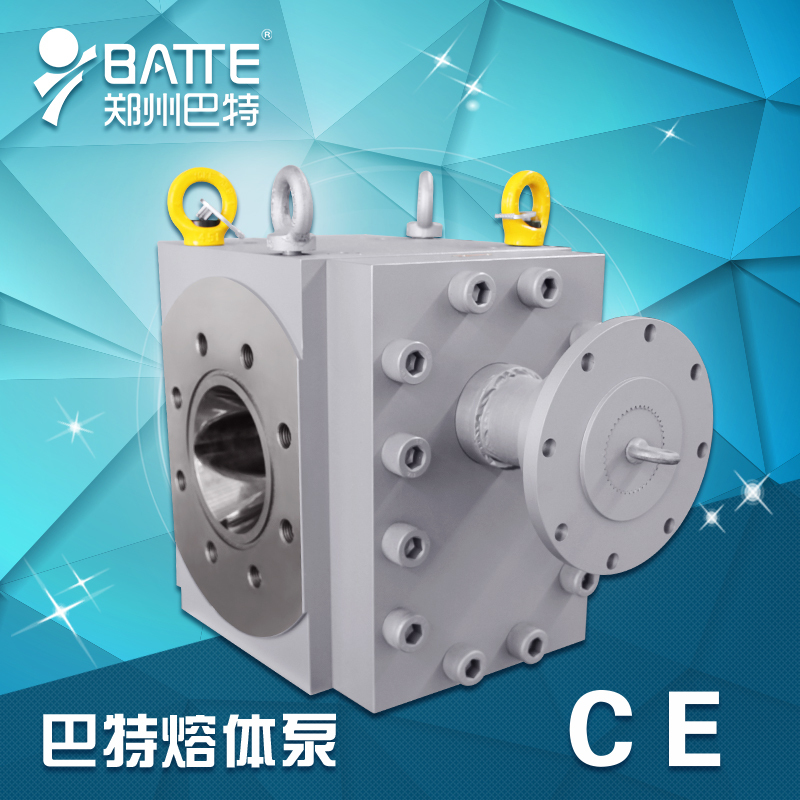 And the use of gear pump according to different conditions ZB-B series chrome-nickel alloy steel, tool steel, high-temperature materials; ZB-H series imported CPM tool steel or titanium, tantalum alloy material, the overall quenching, hardness HRC62-68, wear resistance it is good. 3. Seal: General spiral seals and packing, mechanical seals can also adopt other forms according to customer requirements. 4. Drive: motor + reducer + + universal coupling pump, motor adopts frequency control, free to the required flow rate, customers can also request the use of a DC speed control and servo drives form. 5. Heating: Melt pump or electric heating rod heating heating medium heat, melt temperature can be precisely controlled. 1. stable output pressure --- can effectively reduce pressure pulsation and material output instability caused by the extruder parameters. 2. improve product quality --- extruded products dimensional tolerances minimize waste and reduce scrap rates. Ordinary extruder can produce high-precision products. 3. Improve the extrusion reduces the yield --- screw pressure requirements, from screw to build pressure die, to die to melt pump to build pressure, high-speed and efficient extrusion screw and adjustable squeeze the machine back pressure, reduce the melt residence time in the screw barrel, stable plasticizing process, lower the melting temperature, improve product yield and quality. 4. Reduce energy consumption --- Data show that the co-rotating twin-screw extruder and pelletized melt pump combinations thereof, mixing quality and yield significantly higher than single twin-screw granulation unit. Energy consumption per kilogram of processed material can generally be reduced by about a quarter. 5. extend the entire product life --- After using a melt extruder screw barrel pump pressure is reduced, it can greatly reduce the wear between the screw and barrel, to reduce the load on the thrust bearing gearbox to extend the life of the extruder. Take extruder feed problems in the production process need to exhaust it may also be solved.